Formosan black bears join the parade at Chiang Kai-Shek Memorial Hall. 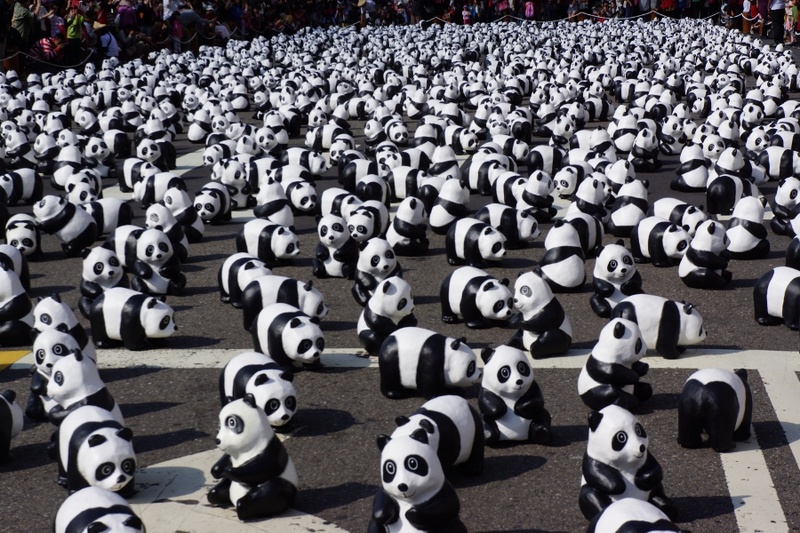 Recently I posted about hundreds of paper pandas coming to Taipei. 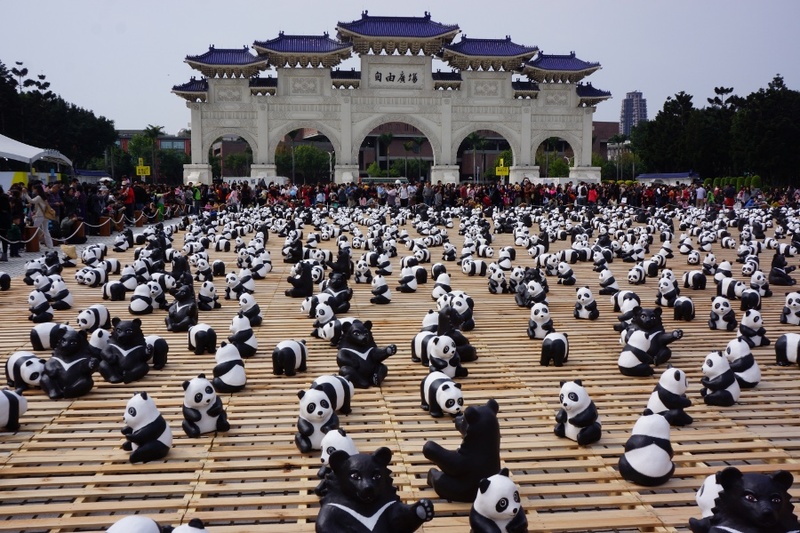 The final stop for Pandas World Tour – Taipei 1600貓熊世界之旅-臺北 is at Chiang Kai-Shek Memorial Hall, but this time they’ve brought 200 paper Formosan black bears with them. Though the exhibition is almost identical to the earlier one at Taipei City Hall, there are a few differences that stand out. Check out some pictures from my visit.